Did you suffer from food poisoning in Morocco? Did you suffer Salmonella Food Poisoning? Holidaymakers who suffer illness abroad whilst on holiday in Morocco could be entitled to no win no fee representation with Simpson Millar’s specialist travel lawyers. Just contact our holiday complaints lawyers and we will have your claim against your tour operator underway. 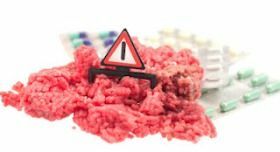 Food Poisoning in Morocco – What are your legal rights! The 1992 Package Travel Regulations allow holidaymakers who are ill on holiday to claim compensation from their tour operator for their failure, or the failure of their hotel supplier, in the performance of the holiday contract. Failing to prevent food poisoning by ensuring that good hygiene is both implemented and practiced at a hotel would constitute a failure for which holidaymakers would be entitled to claim compensation for illness. Holidaymakers travelling to Moroccan hotels often contract Salmonella food poisoning and other bacterial infections. Simpson Millar’s experienced travel lawyers have recovered substantial compensation for many ill holidaymakers travelling with First Choice and Thomson holidays to Morocco in recent years. If you or a member of your family suffers from a bout of food poisoning or any other gastric illness whilst travelling to Morocco on a package holiday, contact our expert team of travel lawyers. Provided you contact us within 3 years of the commencement of your illness on holiday we are able to help you. Holiday Hotel Watch – Look Before You Book! Although many holidaymakers travelling to African destinations such as Morocco expected to become ill on holiday, hygiene practices at international hotels have improved substantially thanks to the influence of tour operators such as First Choice and Thomson Holidays. However, we still get a substantial number of enquires from holidaymakers returning from Morocco to we recommend you review Holiday Hotel Watch before you book. Most problems in Morocco seem to arise from bacterial and parasitic holiday bugs, and dysentery is quite common. If you have been diagnosed with bacterial food poisoning or any one of the parasites listed above please contact us for a free telephone consultation. UK tour operators sell holidays to either Marrakech or Agidir, or both, and Moroccan holidays are commonly sold as Twin Centres, Marrakech and Beach. Simpson Millar Solicitors are holiday experts in class actions and food poisoning claims concerning hotels in Morocco. We have successfully represented hundreds of clients individually or as part of a group. As specialist travel solicitors, we will be able to help you claim compensation where high street practice will not. Our dedicated team of holiday illness lawyers are happy to speak to you in plain English about making a holiday claim. Call us now on 0808 145 1353 or complete one of our online holiday claims enquiry form to see if your claim has merits. Travellers who experience gastric illness including food poisoning should be aware that claims are statute barred after 3 years. 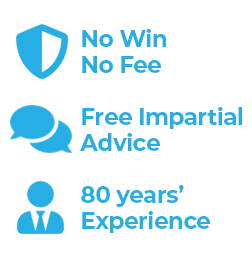 For further information contact Simpson Millar today on 0808 145 1353 for a free no obligation consultation. Food poisoning is preventable so why should you suffer in silence?